President Donald Trump’s policy directives have fueled conversation across market sectors and geographies as decision makers prepare for a multitude of possible economic and geopolitical scenarios. Among these scenarios, the transition from an administration that strongly advocated for low carbon economies globally to one intent on deprioritizing such initiatives is likely to have disruptive consequences. Trump’s promises to withdraw from the Paris Agreement, expected repeal of Obama’s Clean Power Plan in an effort to revive the coal and fossil fuel industries, and deep spending cuts to the Environmental Protection Agency (EPA) in February’s budget proposal signal a shift in attitude sparking concerns over the future of sustainability in business and the momentum of ESG investing. Despite shifts in U.S. policy, major companies like Apple, Unilever, Walmart, and others continue to engage in initiatives like RE100, which challenges them to increase their use of renewable energy sources. At the vanguard of the movement, pension boards around the world are increasingly adopting investment approaches centering on companies with environmental factor momentum. For example, Norway’s Government Pension Fund Global runs an environmental fund of approximately US$6 billion of investments in alternative energy and energy efficiency. Major ETF providers such as BlackRock and State Street are among a host of asset managers that offer ETFs with climate-aware exposures. 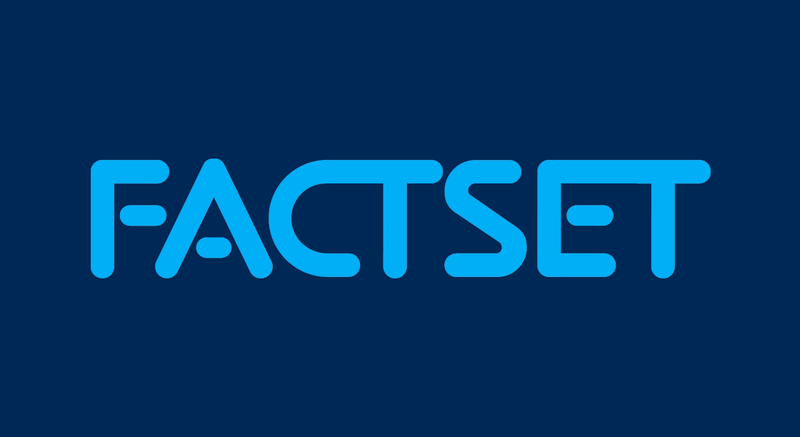 As of February 28, FactSet’s ETF classification system identified 17 such ETFs with a combined $1.6 billion in assets, which over $190 million in new investment since the start of 2017. The largest of these, iShares MSCI ACWI Low Carbon Target ETF (CRBN-US), offers broad-based exposure to global companies that favor stocks from firms with lower greenhouse and carbon emissions (relative to firm size) while maintaining very tight tolerances to a broad and market-like index. The end result is a fund that correlates almost perfectly with the MSCI ACWI Investable Market Index, while holding only 13% (by count) of the ACWI IMI’s stocks, according to FactSet’s Elisabeth Kashner, Director of ETF Research and Analytics. For the asset management industry, the long-term benefits of capitalizing on climate-change related opportunities are plentiful. To help identify these opportunities, benchmarking practices like “sustainability accounting” seek to understand an organization’s environmental presence and quantify it into actionable intelligence. Such practices look at a variety of metrics, including the time value of carbon, a firm’s near-term climate forcers (NTCF), and greenhouse gas emissions (GHG) to arrive at a Global Warming Potential (GWP) value over various time horizons. This score allows for more informed decision-making for investors that place a premium on environmental stewardship. 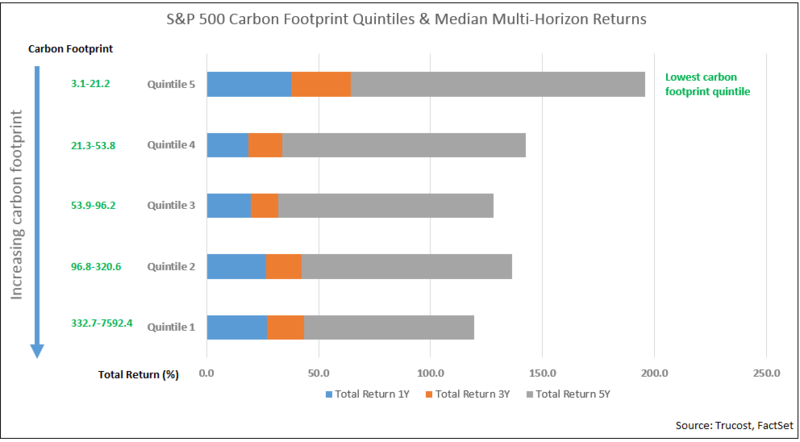 Median multi-horizon returns across different carbon footprint quintiles of the S&P 500 in the stacked chart below tell an interesting story. Here we see the lowest carbon footprint quintile consistently outperformed competing quintiles of the S&P 500 with its one-year, three-year, and five-year total return figures. The momentum of climate change leadership is poised to grow, if not due to commitment from major global companies and the investing community, then due to the economics of energy. While a significant proportion of electricity production is still derived from oil, gas, and coal sources in the United States, the contribution of renewable, hydroelectric, and nuclear sources have increased at a much faster rate than the former. According to the Climate Change and the Environment Report published by the Grantham Institute and the Carbon Tracker Initiative, the cost of solar panels has fallen 85 % over the last seven years. The technology expected to become significantly cheaper than alternative options in less than a decade given the major current investments into solar technology. The International Energy Agency (IEA) believes this trend is here to stay. Where electricity production is concerned, the International Energy Agency’s 2016 Medium-Term Renewable Market Report forecasts that renewable energy will remain the fastest-growing source of electricity generation, with its share growing from 23% in 2015 to 28% in 2021 . If the production costs of renewable energy sources continue to fall, Trump’s policies will have limited influence on the push for climate change risk mitigation. As explained in the Economist Intelligence Unit’s special report on Climate Change VAR (Value at Risk), “climate change is a problem of extreme risk.” This research goes on to say that the average expected losses stemming from climate change could be roughly on par with the value of Japan’s GDP. Given that the VAR calculation includes a wide range of probabilities, it is not just the average expected losses but also the tail risks that need to be considered in portfolio or index level analysis. In assessing the impact of climate change risk to a company’s value or the contribution to climate change from a company’s operations, the nature of operations, revenue by sector or segment, and value of supply chain relationships dispersed across geographies will prove helpful. 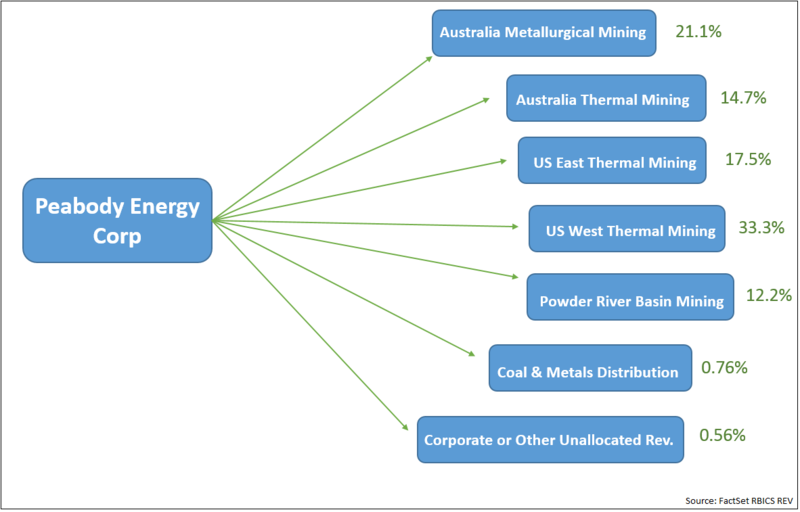 When conducting negative screening on indices or portfolios to divest positions in companies with exposure to the coal sector, taking the revenue hierarchy a level deeper with FactSet RBICS Rev to differentiate between the revenue generated from metallurgical coal mining and thermal coal can help paint a more accurate picture of a company’s operations. Data sets like FactSet GeoRev and Supply Chain Relationships can reveal a company’s revenue exposure and supply chain exposure to countries at particular risk from rising temperatures. For example, severe aridity resulting from increasing global temperatures has already sent wildfires sweeping through central and southern Chile this year. The event has destroyed more than 580,000 hectares of land, deeply affected the local economy, and cost the government nearly $333 million. 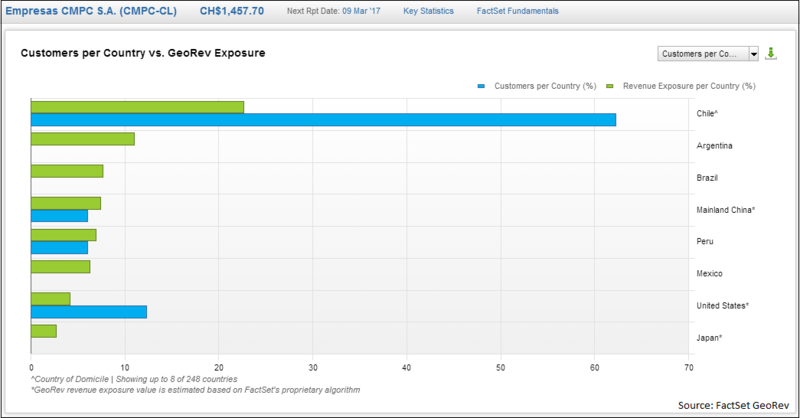 The resulting damage could put foreign companies and sectors with exposure to Chile at varying degrees of risk. One of Chile’s largest forestry companies, Empresas CMPC, provides raw materials to the likes of Home Depot and Walmart in the United States and has customers in China and Peru. The truly global nature of supply chains and business operations today mean that the effects of an extreme climate change scenario will permeate through the different sectors and stages of the supply chain and have an indirect impact on businesses and local economies around the world. One of the major challenges for climate change investors and ESG investors alike is the lack of consistent, verified, and comparable data. The scoring methodology and disclosure of data currently in use is far from transparent, and as the demand for more environmental data increases, the volume and quality of data too will increase. The Task Force on Climate-Related Financial Disclosures, led by Financial Stability Board Chair Mark Carney, is one organization hoping to develop consistent climate-related financial risk disclosures to provide lenders, insurers, investors, and other stakeholders better information on the companies they hold. Steer, also a founding member of the Canadian chapter of the Prince of Wales’ Accounting for Sustainability project (A4S) CFO Leadership Network and member of the Global Advisory Committee for A4S believes there is “fragmentation” in the approaches adopted within each industry and across industries to disclosures and measurement. “We will need a set of principles that will allow for an apples to apples comparison,” she says. Incorporating data on geographic exposures, granular subsector revenue exposure and supply chain relationships data with environmental data series on emissions, external costs and carbon footprint among other factors can help uncover numerous linkages. With a relational database of linkages created, insightful stress tests and factor correlation matrices can be generated to analyze the impact of changes in independent variables on climate change VAR in different scenarios. 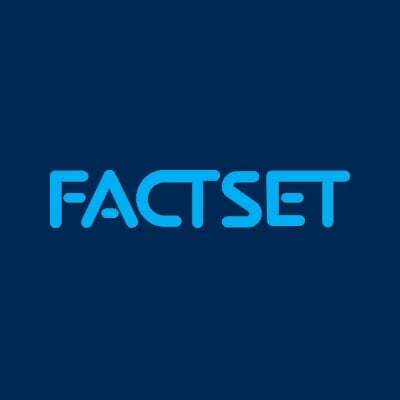 Nikita left FactSet in 2019.